Do you struggle when praying for others? Do you want to pray for friends and family, but rarely know what to pray for them? I know I do. Honestly, there are times I become frustrated with praying for the general needs of others. Not because I don't want to pray for them, but I don't know what to pray. I know I can pray anything and everything, as God already knows my every word, my every thought, before it is on my tongue (Psalm 139:1-4). But, sometimes it feels like I'm rambling. GOD'S WORD always gives guidance. In the book of Colossians, Paul begins by giving thanks to God for the faith the Colossians have in Jesus Christ. He continues to reveal the way he has been praying for them in chapter 1, verses 8-12. These verses provide an excellent guideline for how we can pray for others and ourselves. 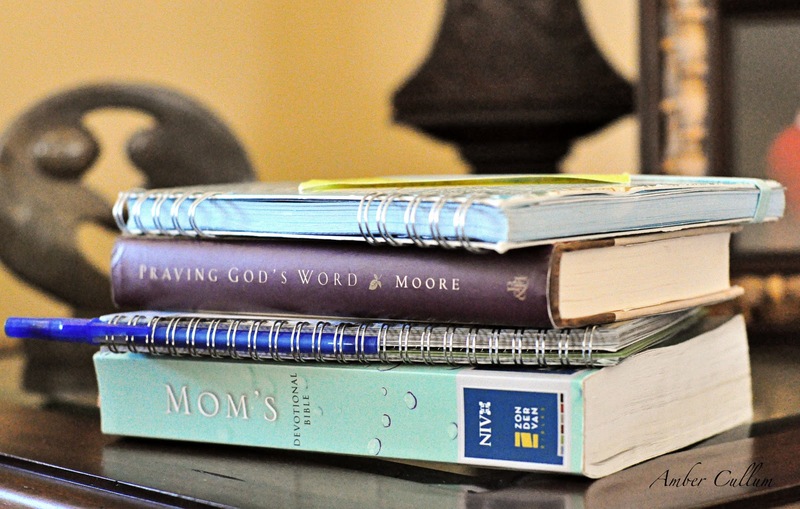 I am also linking this photo up with Katie's SCRIPTURE and A SNAPSHOT this week. I have had this written on a note card for a few years, but honestly, I had forgotten about it. 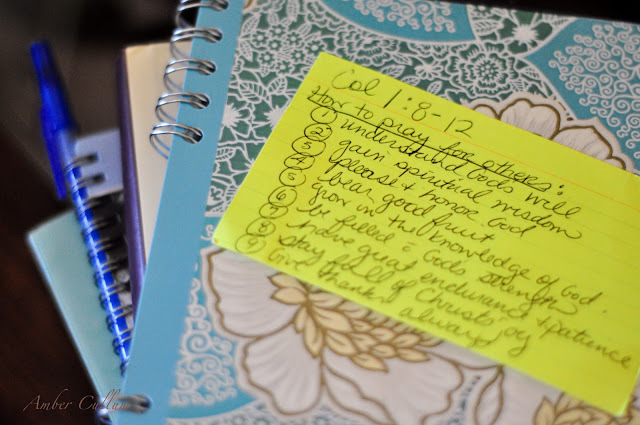 Last week, I was flipping through my Bible, when a bright yellow note card fell to the ground. I picked up the card and it read, "How to Pray for Others," with the Scripture reference at the top. If you read Journey of Faith Friday a few weeks ago, you know I have been trying to pray God's Word consistently. When things like this happen, I am reminded that God truly cares about and is involved in every detail of my life. That was great advice! Thank you for sharing it. I had not thought of using those verses in praying for others. I really love seeing beautiful women shining for Christ! This post was encouraging and gave me a renewed perspective on how to pray for people so thank you! I will try and start linking up with you. I think this is a great idea! I'm following your blog from Doorkeeper at http://reneeannsmith.com/ and joined the blog hop. Blessings! This is a very good reminder of how to pray for others and I'm going to write these down on my own index card. I often feel the exact same way and I know this will help me to be more faithful in praying for the general needs of others. Thanks for sharing girl! Isn't it awesome how the Bible gives us guidance for everything?! Thanks for sharing those!